Take Our 15 Second Test! Have you ever wondered if you could claim compensation for your deafness? 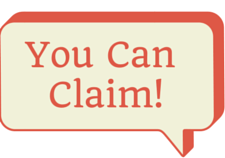 Take our 15 second claim test to see if you have a claim for compensation. We’re often asked: “Can I claim compensation no win no fee?” – Yes you can! Call us 24/7 on 0800 122 3130 or complete our claim form now. Try our compensation calculator to see how much you’d be able to claim for your hearing loss or tinnitus. Alternatively call 0800 122 3130 to start your claim today. Download our latest guides on cures and remedies for tinnitus sufferers, as well as information on making a claim for tinnitus compensation. We’re dedicated to helping our clients secure the no win no fee compensation they rightly deserve. At Mercury Legal Online we have made it as simple to quickly assess the level of compensation you may be entitled to. Our compensation calculator helps you to see at a glance the level of compensation you can get for your claim, but if you would like to talk it through first then one of our experienced team members would be happy to help. Complete our free call back form and someone from our claims team will be able to help you today! The amount of compensation you can claim depends on your Tinnitus Compensation or accident and how serious it is. Our compensation calculator will tell you how much you can claim for your personal injury. There are also rules on limitation and how long after an accident or injury you can claim. To find out more about the rules about claiming, see our ‘can I claim compensation?’ page. If your injury is complicated or you would like more advice on a for a specific injury, then complete our call back form and we will be able to call you back when its convenient for you. Mercury Legal Online have expert solicitors that will be available to you to help guide you through the claims process, so that you can be confident that your compensation claim is in the best possible hands. When you have suffered a personal injury, be it a road traffic accident, an accident at work, an industrial disease or indeed an injury anywhere else, it can be confusing to know who to turn to. At Mercury Legal Online we know that you need simple straight forward advice and we are here to provide just that. We won’t confuse you with medical or legal jargon and your own personal claims handler will always be just a phone call away throughout the duration of your claim – we never lose sight of the fact that you are the victim and it’s your case. If you need to make a claim for compensation following a personal injury then contact us today via our compensation claim form or why not ask us to call you back so that we can talk you through the process at a time convenient to you. Perhaps you just want to ask us a question , remember you are under no obligation and all of our advice is free of charge. If we can help you with a claim all of our solicitors offer a no up front fees service . Don’t hesitate to get in touch, whether you need advice or just want to understand your options. Try our Compensation Calculator to see how much you can claim for your injury. Ringing in the ears (tinnitus) and deafness are often associated with working in a noisy environment, especially if your employer(s) fail to provide you with hearing protection. There is no set amount of time that you have to have worked in noisy conditions to develop problems with your ears. It very much depends on how susceptible you are as an individual to noise damage and the actual noise levels you are required to work in. As a general rule of thumb, the noisier your work place is, the quicker the damage occurs. Hurry – time limits do apply! The most important advice we can give anyone who thinks that they may have suffered deafness or tinnitus as a result of their employment is to contact us without delay. Time limits do apply to cases of this nature and so the quicker you contact us, the better your chances are of obtaining a compensation award. It’s free to contact Mercury Legal Online and you are under no obligation to pursue a claim if you do not wish to do so. Also there are no up front fees to pay – even if your case is unsuccessful through no fault of your own. So call 0800 122 3130 or start your claim online. If you’ve a question for one of our solicitors the simplest way to get it answered is to complete the form below and one of our experts will call you back at no cost, when it’s convenient for you.